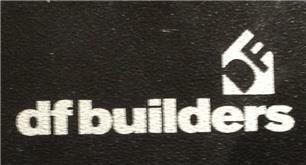 DF Builders - Builder, Fencing/Gates, Landscaper , Plasterer based in Worcester Park, Surrey. My name is Dion Francis I am a General Builder with 18 years experience and many satisfied customers. I cover a wide range of expertise including landscaping,plastering, patios and drives and lots more. I am a Reliable, Trustworthy and carry out all works to a very high standard. I can provide references from previous customers. I am sure you will not be disappointed with any finished project.